More than 30 groups and agencies will have displays at the third annual Community Connections Expo to be held on Tuesday, Oct. 2, at the Senior Center of Sidney-Shelby County in Sidney. 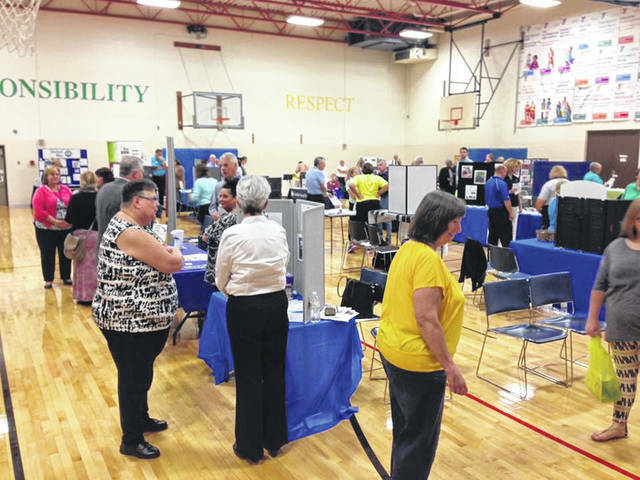 SIDNEY — The third annual Community Connections Expo will be held on Tuesday, Oct. 2, from 4 to 6 p.m. at the Senior Center of Sidney-Shelby County in Sidney. The Community Connections Expo, which is free and open to the public, is sponsored by the Shelby County Community Service Council, 105.5 TAM FM and the Senior Center of Sidney-Shelby County. Its focus is to highlight services offered to the community from local non-profit and governmental agencies who are focused on providing human services. Agencies represented at the Community Connections Expo include Bridges Community Action Partnership, Senior Center of Sidney-Shelby County, Shelby County CASA, Big Brothers Big Sisters, Women’s Center – Sidney and close to 30 other local agencies. The Community Connections Expo provides an opportunity for those in the community to learn and better understand all the help and resources that are available to those who have a need within the county. Individuals, local education employees (including teachers, guidance counselors and principals), human resource officers and business professionals, and churches are encouraged to attend. There is also the opportunity for these groups to better understand opportunities to volunteer with local non-profits. A chance to win door prizes will be offered to those in attendance. For more information, contact Bridget Davis, Shelby County CASA at 937-498-7447 or Jenny Bruns, Big Brothers Big Sisters at 937-492-7611.